A graduate of the University of Sydney, Australia , Thomas holds a Master’s degree in Physiotherapy and a Bachelor’s degree in Exercise and Sport Science. He initially worked in a private practice in Sydney’s West before relocating to the UK. Thomas gained experience dealing with a range of sporting injuries whilst working with state rugby and Australian rules football clubs in Sydney. He has undertaken post-graduate training in sports taping, and enjoys treating neck, shoulder and knee pain. He has a special interest in weight training and other gym-related injuries. In order to achieve optimal outcomes for all of his patients, Thomas believes in a varied approach to treatment consisting of both hands-on treatment as well as specific targeted exercises tailored to suit each patient’s needs. 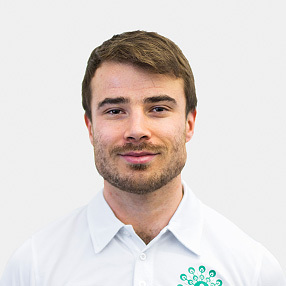 Rather than just merely returning patients to a pre injury state, Thomas has a passion for optimising their strength and overall well being, as well as educating them on how to manage their condition independently in the future. Outside of work Thomas enjoys going to the gym, watching a range of sports (particularly football and rugby) and travelling to various destinations around Europe.